Most aftermarket applications for military and industrial webbing require durability and strength. 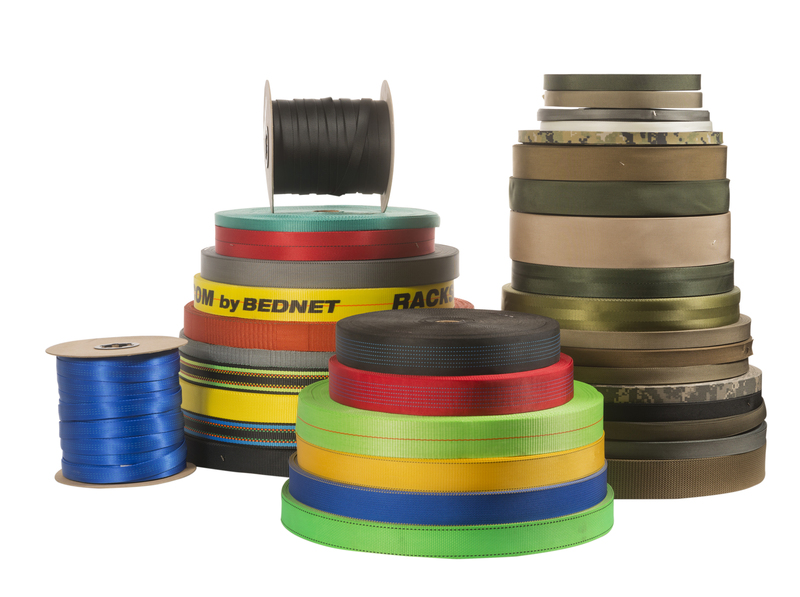 Both Nylon and Polyester industrial webbing provide strength and have excellent resistance to UV and mildew. We stock millions of yards of surplus Military webbing and Industrial webbing. These materials are available in a wide range of military and commercial colors. While surplus webbing cannot be certified, TN Webbing can have Certified Mil-Spec. webbing produced on customer specifications. Due to the nature of aftermarket military, industrial and government webbing, shade variations will vary. To make sure our customers get what they need we sort according to shade as well as webbing type. You can visit this page on Mil-Spec Monkey’s website that has additional information about types of military webbing. The possible applications for military and industrial webbing are wide-ranging. We serve customers in many different industries including those listed below. There are many consumer applications for seat belt webbing. Our customers use our webbing to make the products listed below. There are many more not included on this list. Read our blog posts related to military and industrial webbing.